The city and county of Los Angeles are undertaking a historic effort to address homelessness across the region. Back in February 2016, they both approved strategies with recommendations that emerged from a joint planning process that engaged stakeholders and the voices of our neighbors experiencing homelessness. On any given night across the city of Los Angeles, more than 34,000 Angelenos call our shelters, streets, alleyways, ravines, and riverbeds home. It is time to end this human tragedy. In the Fall of 2016, Proposition HHH, a $1.2B housing bond, passed overwhelmingly in Los Angeles to provide up to 10,000 new units of permanent supportive housing, an effective, compassionate, and permanent solution to caring for homeless Angelenos. A few months later, voters across L.A. County passed a measure to fund homelessness services, which is expected to generate up to $3.5B over the next ten years. But housing doesn’t get built overnight. The City’s Comprehensive Homelessness Strategy uses a three pillar approach: house those who are homeless, prevent Angelenos from falling into homelessness, and implement a street-based plan that protects the health and safety of communities along with the civil rights of people experiencing homelessness. Mayor Garcetti has enlisted each city department to support the effort, and he has enlisted each and every one of us too! Many of us answered the call and voted yes to Proposition HHH and Measure H, which will create the housing opportunities and pipeline we need to house the most vulnerable among us. My friends at the Mayor’s Office of Economic Opportunity are working on employment, education, community investment, and addressing the needs of our formerly incarcerated and veterans who are reentering our community in order to prevent homelessness. The third pillar is taking it to the street. While we prepare for unprecedented funding to address this crisis, we need to take care of our brothers and sisters who need the dignity of a shower and opportunities to get connected to services. Relationships take time, for all of us, especially for those of us who have to overcome, or are going through, a lot of challenges. The Mayor’s Office is creating spaces for those who are unsheltered to take that shower, feel that dignity and create moments to build relationships and connect with services. We are going to help! Through the Mayor’s Days of Compassion Initiative, we are turning our compassion into action. The drive will take place over the next 30 days. 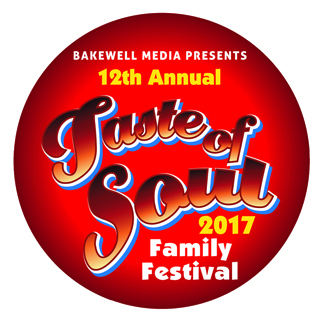 Bring your donations to the Taste of Soul Family Festival. Thank you all for doing your part!